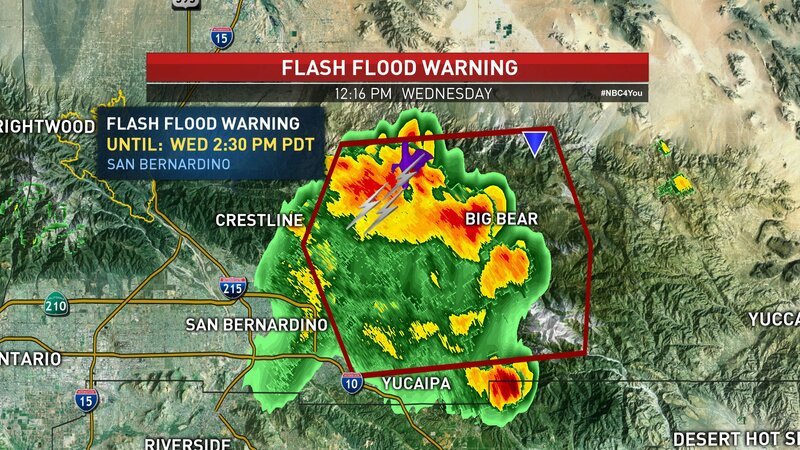 A flash flood warning was issued for mountain communities in San Bernardino County Wednesday during a week of high heat and humidity in Southern California. This story uses functionality that may not work in our app. Click here to open the story in your web browser.